It's undeniable that my love for this collection only further cements my hipster tendencies. 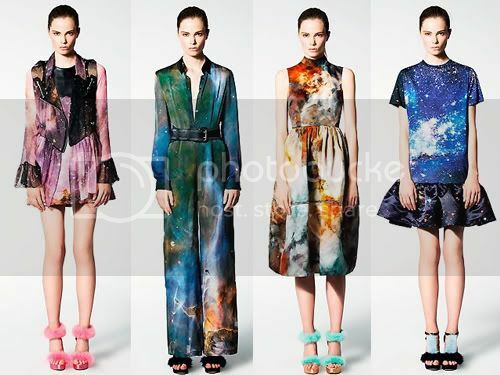 But, despite the fact that galaxy print is appearing everywhere lately, these pieces are gorgeous. I'm especially drawn to the chiffon biker jacket, I really enjoy the way it drapes and the dichotomy between the jacket and the attached frills. The Zanotti platforms really bring these outfits "down to Earth". Ha ha ha, no they don't.